Moving offices can be a stressful task, so making sure all of your tech is sorted beforehand is a must. There are lots of things to consider when moving, so we've compiled a handy guide of questions that you will need to ask your IT department (or an outsoured IT professional) to make the move a little bit easier. Being connected to the internet is a must for the vast majority of businesses and organisations in the 21st century. We rely on the internet to contact clients and business partners, market our products, purchase goods and much more, so it's very important that your new premises has a good internet connection (preferably fibre/superfast - check here if you're eligible). When moving, you should clearly communicate your speed, reliability, and security requirements to your IT professional or potential landlord so that they can best assess if the preferred building has the tech infrastructure implemented to support your business. Server management can seem daunting to the average employee, so it's important to talk to your IT department or trusted IT professional about the switch of your server(s). When moving, it's essential that you backup everything on your servers - this will give you something to fall back on should anything go wrong during the transfer. Data backups ensure that any lost data can be quickly recovered and protects critical server programs. You should also install and test the network infrastructure before the servers are moved to the new office premises. Networking cables, UPS units, switches and routers should all be set up in place, tested and ready to go prior to the servers being moved to the new office. This allows servers and clients to be installed and tested quickly and reduces any potential downtime. By removing any potential infrastructure problems, system administrators are able to reduce the time it takes to troubleshoot problems that may occur. All of these things will require a mains power source, and some will require networking and phone ports too, so you will need to ensure the chosen property has enough in each room to cater for the required amount of devices. Not only do they need to all be plugged in, they also need to be plugged in safely and legally. This means surge protectors cannot be plugged into surge protectors, cables and wires should not be all over the floor causing a trip hazard, and power outlets should not be overpowered. You also need to think about wireless connections, too. Will you be able to access wireless points from your desk? These are all questions you will need to prepare for. Aside from the points above, there are a few other things which you'll need to take care of before you move into your new office. Floorplan: You will need to get blueprints of the offices well in advance of moving in so that you can plan your layout. This will have an affect on situations of networking cables and power sources. Tech audit: Is now the time to upgrade your IT? Now would be a good time to evaluate your equipment and potentially order new kit to save having to transfer the old stuff over to your new office. Timeframes: You will need to plan out timeframes and decide what is happening and when. Moving everything at once is going to be difficult, so you will need to decide which things will need to be in place before you start with the rest. Inform your clients: If there is going to be some downtime or a period of time your staff will not be contactable, your clients will need to be aware of this. Secure moving: Make sure your equipment is moved securely in the right types of packaging - consider getting quotes from multiple moving companies and see who can offer the best service for your business. 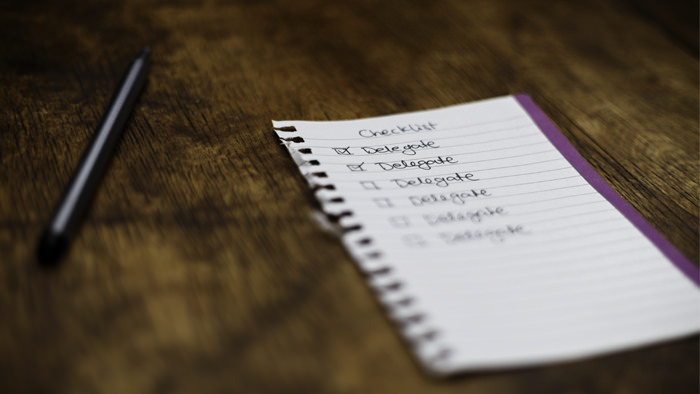 Plan: This is the most important of all - planning is key to everything, so ensure you have tasklists created, roles designated to certain people and recaps with the team to ensure everything is on track.